"Albinism is a genetic condition that causes one's skin, hair or eyes to have little or no color. This is also associated with vision problems." 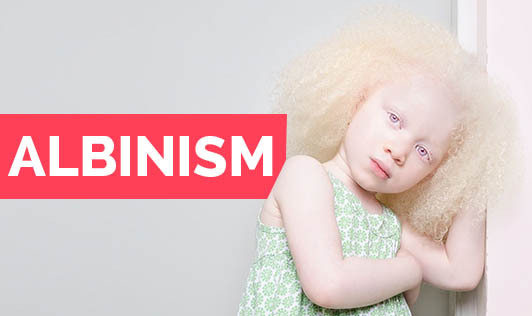 Although it is a hereditary condition, in most cases, there's no family history of albinism. There are several different types of Albinism that can affect people of all ethnic groups. If you notice that your child lacks pigment in his or her skin at birth or has vision problems, contact your doctor immediately!